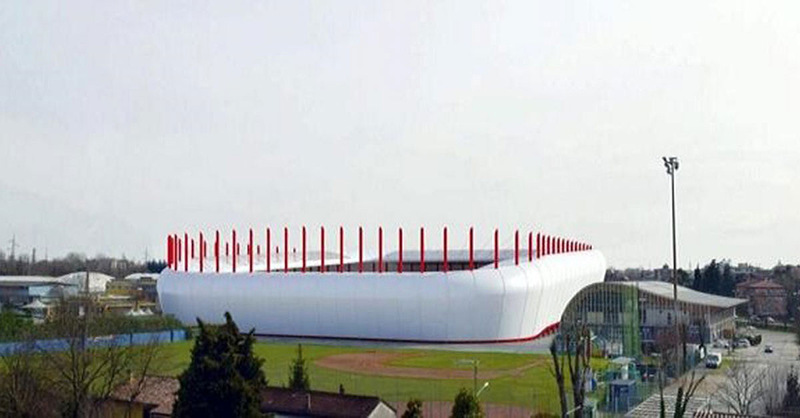 Stadio Plebiscito was built in 1981 and is the main stadium for both rugby and American football in the northern Italian city of Padua. 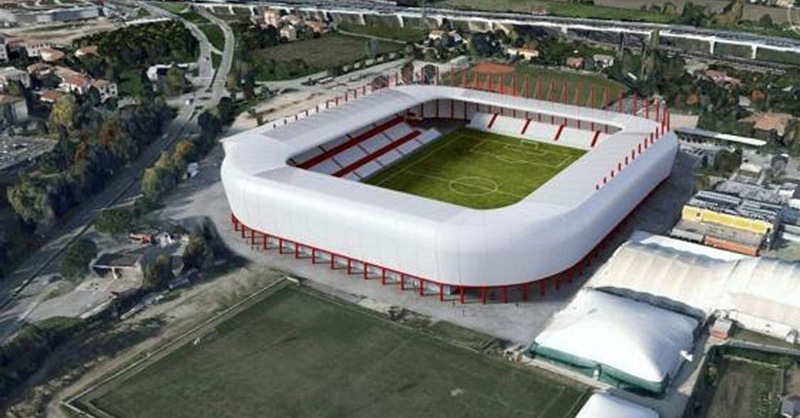 Eventually it’s also expected to become the home of football side Calcio Padova, following its largest ever upgrade. It will also replace the disliked Euganeo as the place for professional sport in the city. 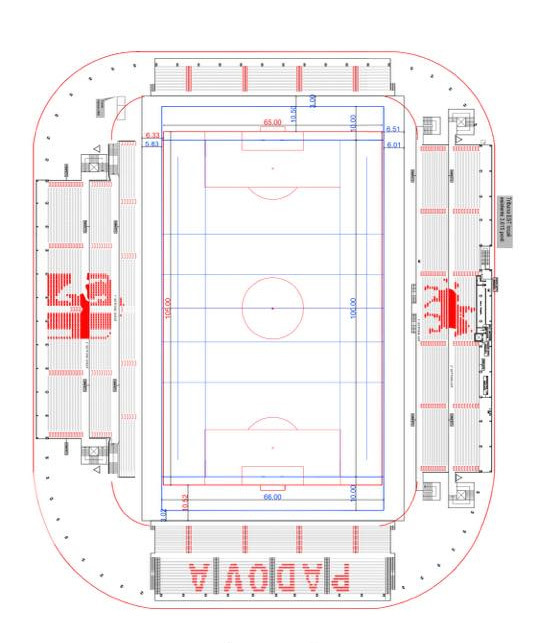 The plan foresees thorough upgrades of the existing west and east stand. Then, on both ends, additional stands will be created. Two-tiered one in the south and a lower structure in the north. 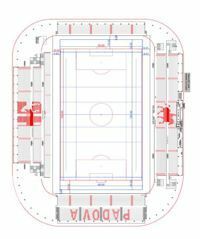 This way capacity will increase by roughly 4,500 seats. Most crucially, the entirety will be enveloped in opaque PTFE skin, resting on red steel structure. The wrap, neutrally white by day, will be illuminated at night. 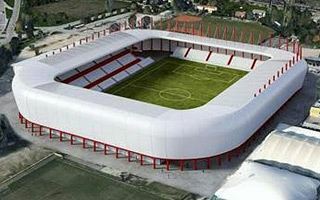 Perhaps most notably, the lightweight envelope’s height will decrease towards the north, giving the stadium an individual shape despite using economic and quite common means. Work on the revamp’s first phase began in August 2016 with seat replacement on both existing stands. 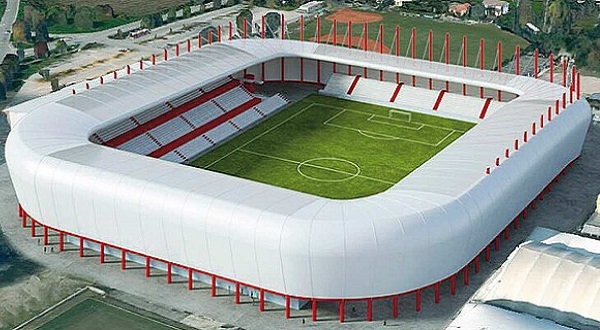 The first phase should cost €3 million, but will surely not be the end of spending.